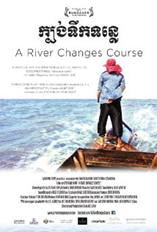 A River Changes Course (recommended): This Cambodian documentary explores the effects of the changing landscape in its country, as director Kalyanee Mam exposes the world to her home country and how its people are faring in this personal and powerful film. Now playing at the IFC Center. Read my review from yesterday. 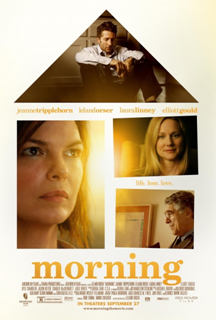 Morning (mixed bag): Just one week after its theatrical release, this bleak drama is available on DVD. This is the feature directorial debut from actor Leland Orser, who previously made a short about the same subject matter, parents grieving after the death of their young child. 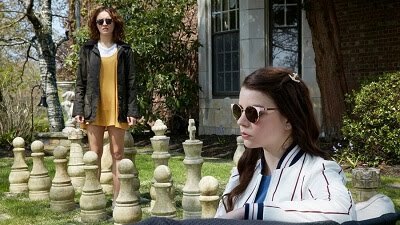 While its aim is emotional, its characters are difficult to connect to and the movie never reaches a relatable or cathartic point. Brighton Rock (anti-recommended): This film noir starring Sam Riley and Andrea Riseborough wants to be a slick, stylized drama about a mobster on the rise, but it doesn’t get anywhere, stuck on being moody and unsure whether it wants to be taken seriously or not. 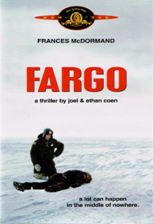 Fargo (highly recommended): This Oscar-winning 1996 film from the Coen Brothers ranks as one of my top ten favorite films. Frances McDormand, who won an Oscar for her performance as a pregnant policewoman, is incomparably fantastic, and William H. Macy, Steve Buscemi, and Peter Stormare are terrific too as some of the funny-sounding crooked people in North Dakota in this fabulous, one-of-a-kind black comedy.